Liberty Athletics has announced the television coverage plan for the upcoming 2017 football season, which includes broadcast opportunities for all 11 games on the Flames’ schedule. Broadcast plans have already been made for 10 of Liberty’s 11 contests with the opportunity for the Flames’ season finale at Charleston Southern on Nov. 18 to be a part of the Big South TV Wildcard Weekend. The Liberty Flames Sports Network (LFSN) will cover Liberty’s home opener against Morehead State on Sept. 9, as well as home contests against Indiana State (Sept. 16), St. Francis, Pa. (Sept. 30) and Duquesne (Nov. 4). Mike Tilley and Matt Warner return as LFSN’s broadcast team. Tilley is entering his 30th year of working with the network and will once again serve as Liberty’s play-by-play broadcaster. Warner, the producer and anchor for the LFSN Game On weekly show, will serve as color commentator for the fourth year in a row. LFSN broadcasts will be available in the local Lynchburg/Roanoke/Danville markets on WFFP-24. 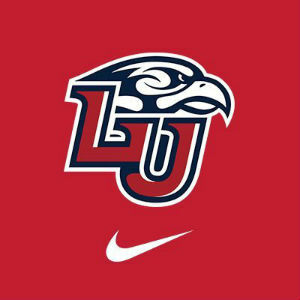 Additionally, LFSN coverage of Liberty football will be available on The Walk Network, a network a 200-plus stations across the country. All LFSN broadcasts will continue to stream through the Big South Network and ESPN3. Liberty will have regional sports coverage for three of its games: at Baylor on Sept. 2 (FS2), at Gardner-Webb on Oct. 28(Stadium, formerly ASN/locally in Lynchburg on WSET 13.2) and home against Presbyterian on Nov. 11 (College Football Down South). Three Flames’ games will be exclusively stream in 2017: at Jacksonville State on Sept. 23 (OVC Digital Network), home against Kennesaw State on Oct. 14 (Big South Exclusive Game of the Week on ESPN3) and at Monmouth on Oct. 21 (ESPN3 production by Monmouth Athletics).